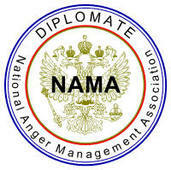 « Anger Management Classes in Atlanta. Anger Solutions Atlanta is a Nationally Recognized Anger Management Company that facilitates a curriculum of accountability, communication, anger management, stress management, communication, emotional intelligence, mindfulness, and assertiveness. This model has been facilitated to Fortune 500 Companies, Corporate Development and Human Resource Departments, Rehabilitation Facilities, Doctors, Universities/Colleges as well as many Federal Government Agencies such as the U.S. Postal Service, NASA and branches of the Armed Forces. We work with non-profits (such as the Atlanta chapter of the Urban League) in an effort to help better our local communities through education… Our Atlanta based anger management/emotional intelligence/ and family violence intervention programs are designed to help you understand your angers, stresses, and emotions, and their triggers and learn how to deal with each of them in a positive way. You will learn why you get angry and/or stressed, how to manage your anger and/or stress and how you can control anger and stress so that it doesn’t control you. We have the solutions to your anger and stress related problems. Our program is designed to help individuals recognize and manage anger and stress. One of our goals is to teach acceptable ways of expressing anger. By gaining a better understanding of ourselves, we will learn to better control our anger and stress so that it does not lead to violent outburst or actions that are harmful to ourselves or others. We will also learn different techniques for stress management and enhancing our emotional intelligence. We will devote each lesson to improving communications so that we may become better listeners and communicators to prevent angry/stressful situations. An individual’s dedication and participation to Anger Solutions Atlanta’s curriculum will ensure that they recognize their role of individual responsibility in changing their “maladaptive” behaviors. and that they will develop a working understanding of their own anger/stress patterns, triggers, and responses – allowing them to understand “situational anger” that consistently results in angry responses that can lead to violent behavior. This results in the ability to eliminate or minimize angry outbursts. We learn how and when to give ourselves a “Time Out!” to prevent angry or violent outburst and/or confrontations. We will incorporate new coping skills and the tools necessary to handle anger, stress and other emotions and feelings. We will develop our communication skills and listening techniques and gain a better understanding of how “everybody” is affected by the way(s) in which we communicate. In learning about our own personal communication styles and our stress and anger signals, we will develop the capacity to sense the mood of the persons with whom we interact and know how to respond in a way that is positive for all. Servicing all Metro Atlanta cities, outlying Georgia, and the whole South-East!